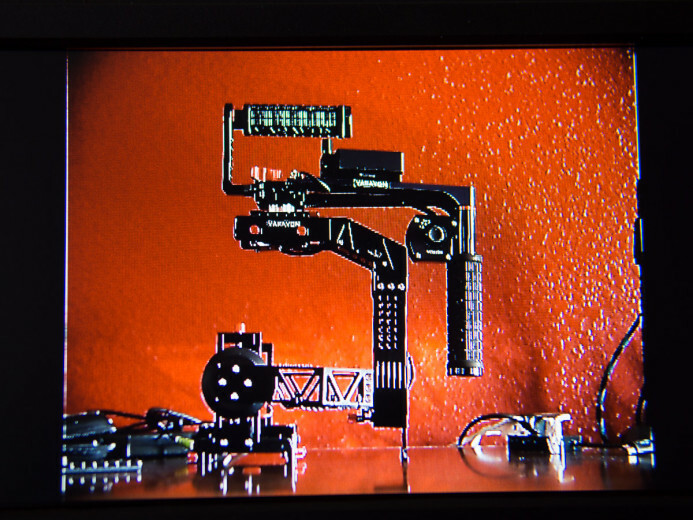 When the Panasonic GH4 was released, users found that their existing monitors couldn’t keep up. 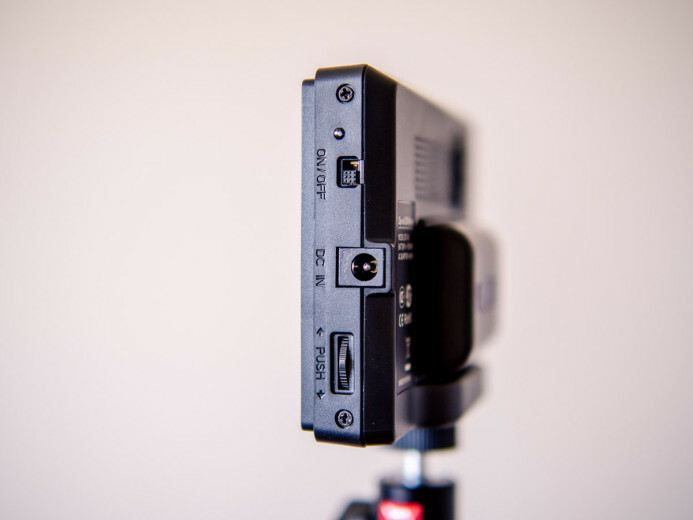 The GH4 included several new recording modes– such as a 24Hz mode– that many monitors were simply not equipped to handle. This led to a situation where you either had shoot with a compatible recording mode, or forgo the monitor. Now, the GH4 has a very nice EVF and a sharp 3in OLED screen, so most of the time you could happily ditch the monitor, but what about when that wasn’t an option? I was looking for a monitor to use when shooting on a 3-axis gimbal, where the camera’s own screen is inaccessible, but finding one that would work with all of the GH4’s recording modes was not a simple task. 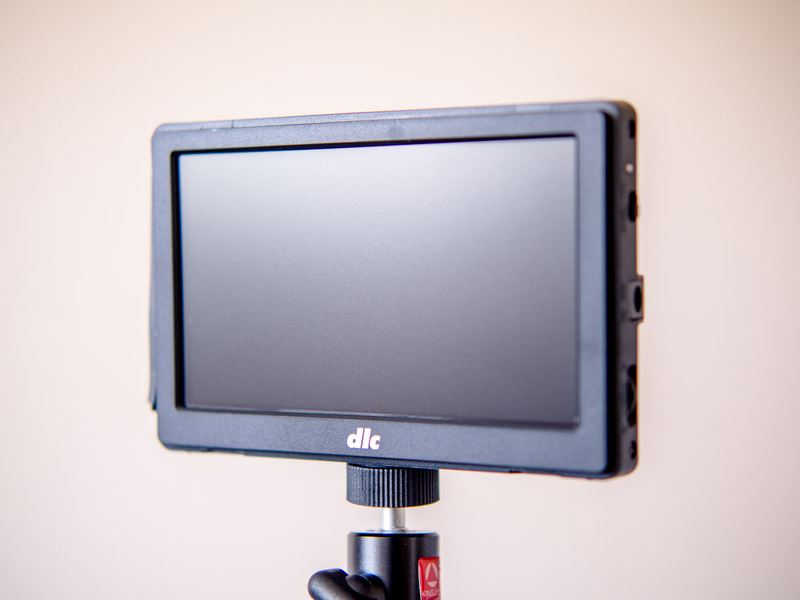 B&H sent over Dot Line’s DC-50 5in LCD monitor to see how well it plays with the GH4. Does the DC-50 make the cut? Let’s find out. Monitors under $300 aren’t going to be bomb-proof, but the DC-50 isn’t fragile either. The plastic housing is thin, but it doesn’t feel brittle. On the plus side, this keeps the monitor fairly lightweight, which is a good thing when running around all day with the monitor mounted on a gimbal. The battery locks in securely with a satisfying click on the rear of the unit, and the input/output ports are protected by a flexible plastic cover. The DC-50 does not have any user-definable function buttons, but the hardware controls it does have are serviceable. Bottom line: The DC-50 is mostly plastic, but build quality is not bad. It doesn’t feel fragile, though it probably won’t survive a drop on to concrete unscathed. Every piece of gear you add and every connection you make can affect how long it takes before you’re ready to shoot. This is something that needs to be factored into your workflow on set, as powering down equipment between shots can really slow you down. For example, the DC-50 takes about 15 seconds to turn on and display an image from the camera. That’s rather slow, and it means you probably would want to keep it powered so that you don’t delay production while you want for the monitor to power up. 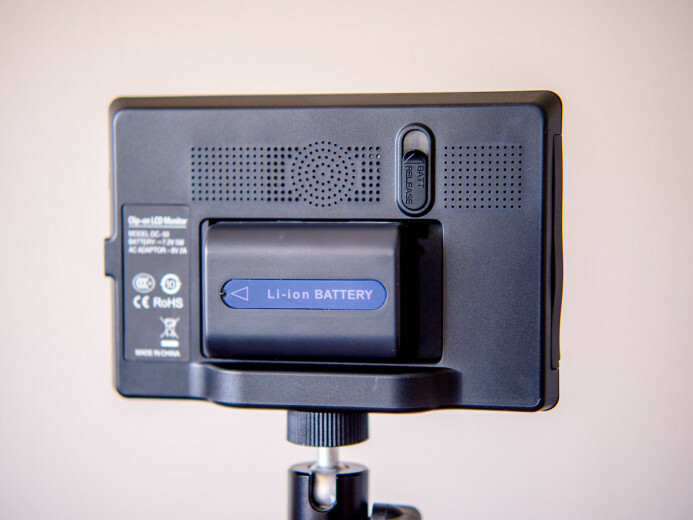 Bottom line: Stock up on batteries– the DC-50’s sluggish startup time means that it’s probably better to keep the monitor powered on between shots in many cases. There’s another type of sluggishness that can affect you once you start shooting with an external monitor– signal latency. The video sent via the camera’s HDMI output to an external monitor is almost always delayed. A bit of delay isn’t too bad, and you get used to it pretty quickly. However, too much of a delay can really be frustrating because you’re not getting the realtime feedback on your camera movements. Imagine trying to track a moving subject or nail focus when the image you’re seeing is half a second (or more) in the past. 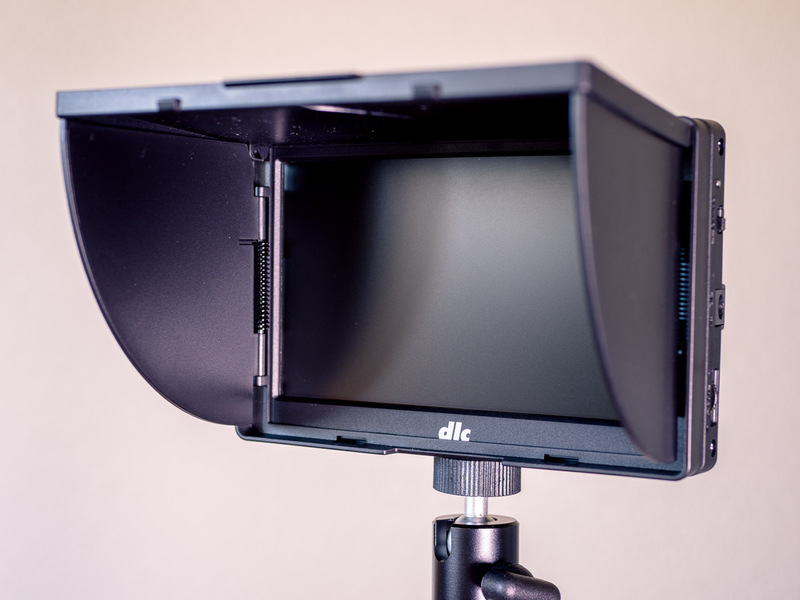 Both the camera and the monitor play a role in the amount of latency, where certain cameras or monitors will always result in a long delay between devices. Thankfully, has a surprisingly low latency when used with the GH4. 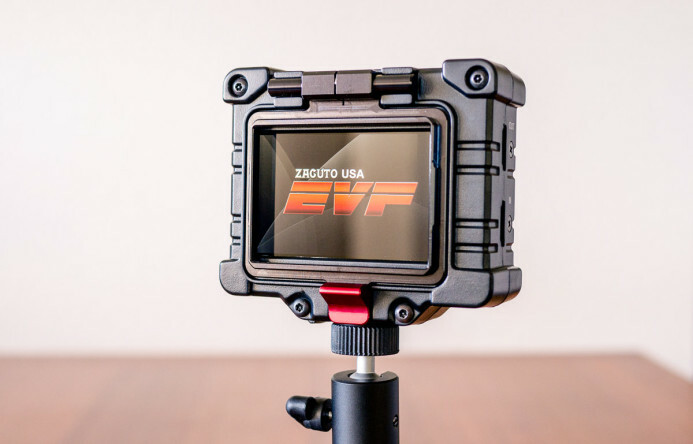 In fact, the DC-50 has a faster response than more expensive monitors, such as Zacuto’s EVF Pro, which tended to be disorienting to work with due to the high latency. The DC-50’s delay differs based on the frame rate the GH4 is set to, but even at 24fps (where the delay is at its worst), the response is still fast enough to be quite usable. Even better, the response time is improved when shooting at 60fps with the GH4, making it that much easier to follow the action when using this monitor. Bottom line: The DC-50 has a surprisingly low delay, making it easy to stay on top of the action when shooting. The DC-50 has a relatively low resolution of 800 x 480, so image quality is not one of its strong suites. Details are not well-defined, giving the image an almost painterly look. The pixel grid is also clearly visible, which can be distracting when you’re trying to concentrate on what you’re shooting. Bottom line: This isn’t a monitor you would use for critical focus, but rather for framing when the camera’s own screen is inaccessible (e.g. 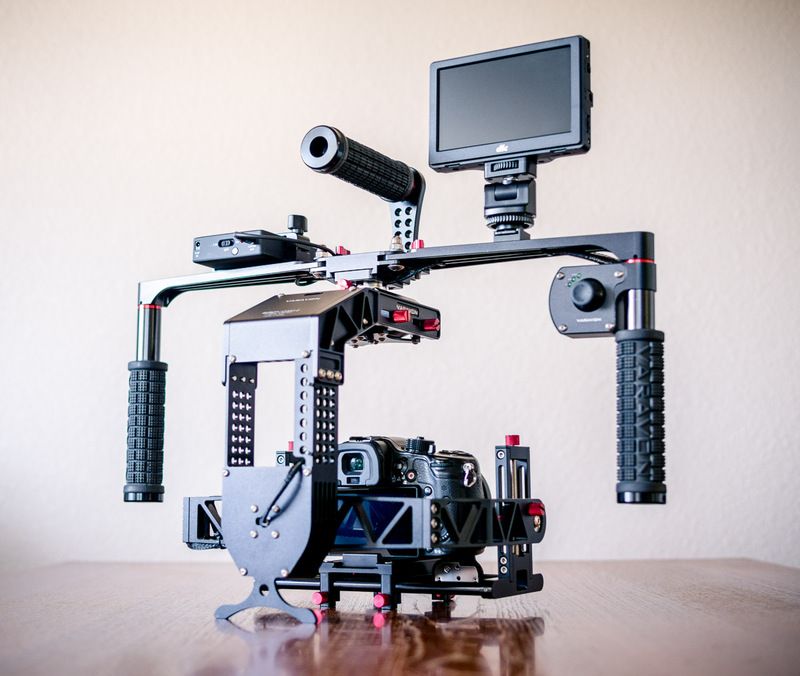 shooting on a gimbal). So it might not be the sharpest monitor on the block, but the DC-50 is fully compatible with all of the GH4’s recording modes, which is something not something all monitors can claim. The GH4’s HDMI output needs to be downconverted to 1080P if you’re shooting in 4K, but otherwise, the DC-50 properly displays the GH4’s signal in any mode. 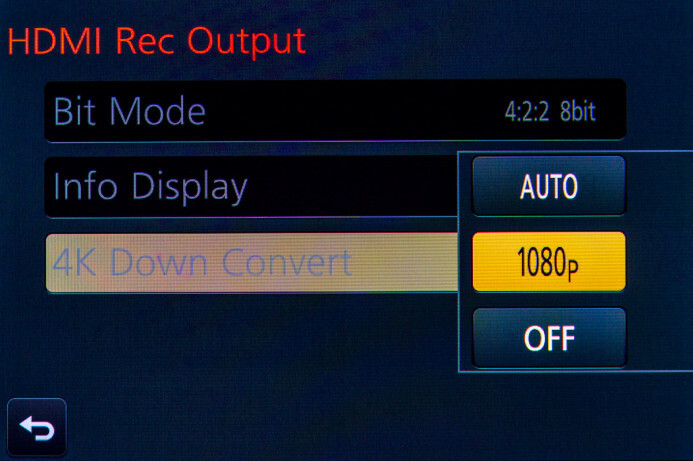 Even the GH4’s oft-incompatible 24Hz mode is handled without so much as a hiccup. Bottom line: Whether you’re shooting NTSC or PAL, VFR or ETC, HD or 4K, the DC-50 works with all of the GH4’s recording modes. The DC-50’s focus peaking is basically edge enhancement. You have no control over the sensitivity, so it’s usually too broad to be useful for critical focus. The enhanced edges are only displayed in white– no other color options– so it’s practically useless if you’re shooting a scene with light colors. The GH4’s own focus peaking is actually quite a bit more useful, and can be viewed on an external monitor like the DC-50. 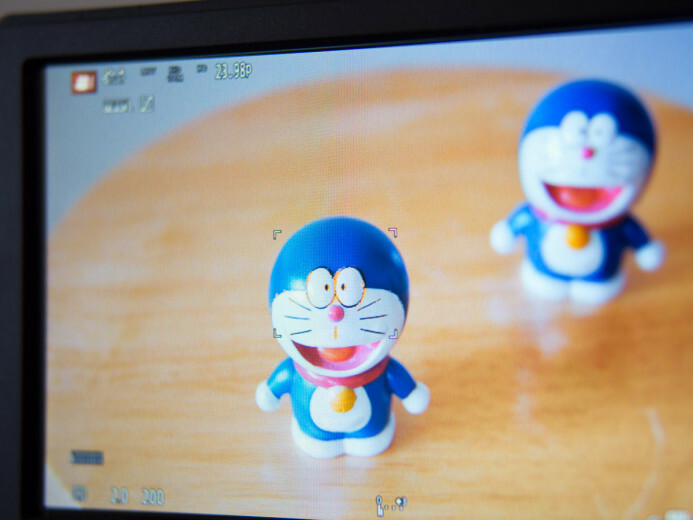 While the monitor isn’t that sharp, you can still manage focus relatively well with the GH4’s focus peaking activated. Another way to check your focus is with the DC-50’s Pixel Zoom feature, providing you with a 1:1 magnified view of the image. Unfortunately, even when zoomed in, the monitor’s low resolution makes details less defined, so nailing focus is not assured. The kicker is that only the center frame is displayed in Pixel Zoom. With no way view other parts of the frame, this feature’s usefulness is rather limited. Bottom line: The DC-50 features both focus peaking and 1:1 pixel magnification, but they’re both rough around the edges and not as useful as you would want them to be. The DC-50 comes with a sunhood that is more useful than you would expect. Not only does it shade the screen from glare, it’s also collapsible. The plastic sunhood snaps firmly on to the front of the screen. While it doesn’t completely shroud the screen in darkness, it does do a good enough job to make the screen usable when shooting outdoors. 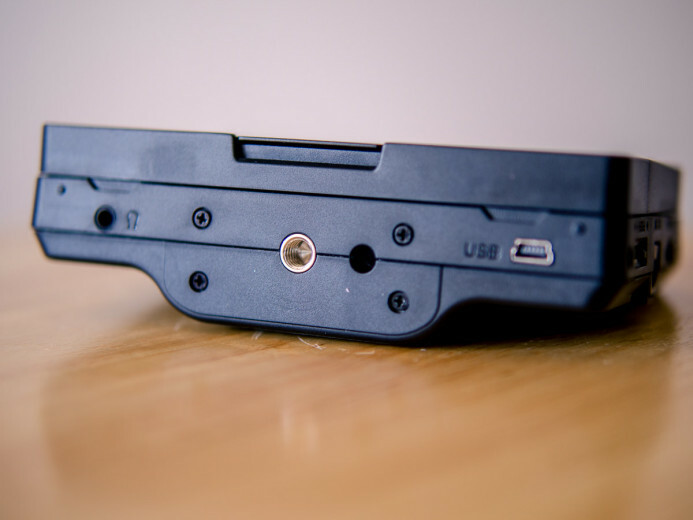 When you’re not shooting, the hood’s side flaps fold inward, allowing the top flap to completely cover the LCD screen. This serves as a good way to protect the screen when the monitor is not in use or being transported. 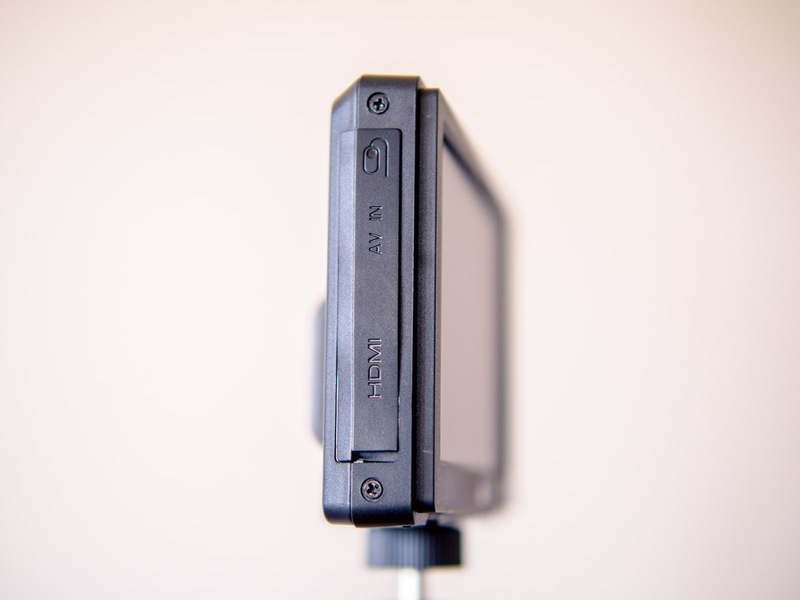 Bottom line: The sunhood allows the screen to be used outdoors, but it also collapses to protect the LCD when not in use. 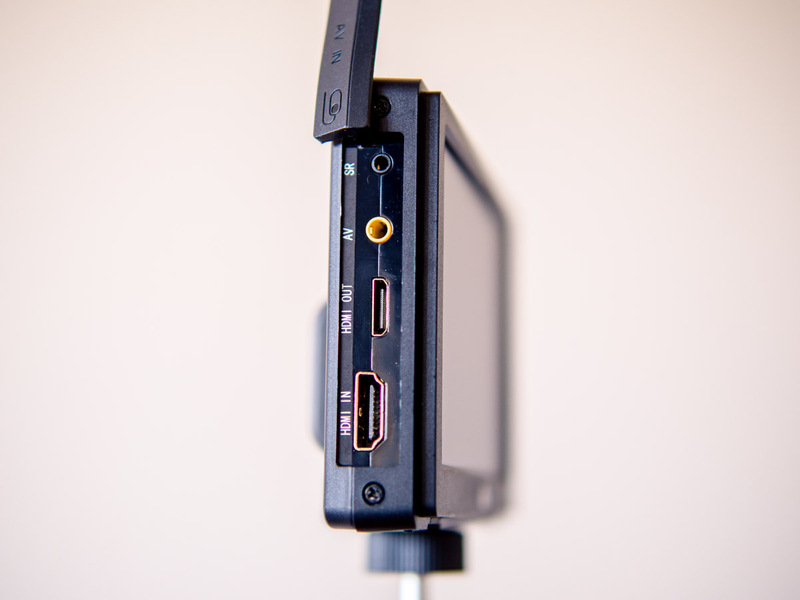 The DC-50 includes an adapter for mounting the monitor on your camera’s hot shoe, but it honestly should be avoided. The adapter attaches to the 1/4-20 mounting point under the monitor, and it even has a registration pin to keep it from twisting. Unfortunately, while the adapter mounts firmly to the camera’s hot shoe, it never really feels like it gets a tight grip on the monitor itself. On top of that, the entire adapter exhibits a good deal of flexing, even when tightened down as much as possible. It didn’t take long before we switched the shoe mount adapter out for a small ball head. This had a decidedly firmer grip on the monitor and made it much easier to adjust the position of the screen to accommodate the shot. Bottom line: The included shoe mount adapter is barely serviceable. Even an inexpensive ball head will make working with the monitor much easier. Should You Get the DC-50 for the GH4? Dot Line’s DC-50 monitor isn’t going to win any awards for image quality or startup speed. 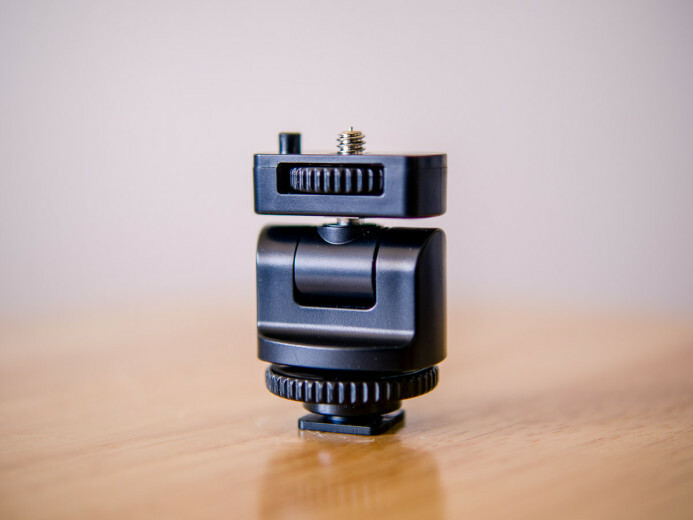 The built-in focus aids aren’t the best, and the included shoe mount adapter is unstable at best. But the DC-50 works with all of the GH4’s recording modes, which is something that not many other sub-$300 monitors can claim. Note: Interestingly, this monitor looks surprisingly similar to Viltrox’s DC-50 5″ LCD Monitor (right down to the model number), despite a difference in price of over $150. I haven’t tested Viltrox’s monitor to see if it works with the GH4, but the potential savings might make it worth picking one up to find out if you’re curious. 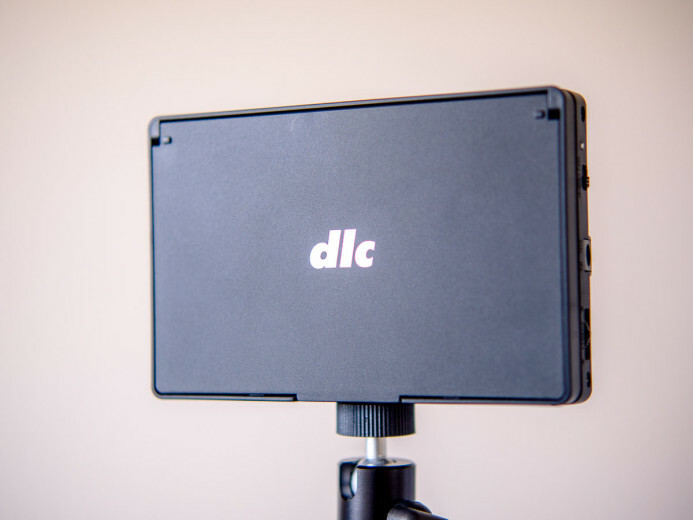 If you’re looking for a lightweight monitor to manage framing when using the GH4 on a gimbal, then the DC-50 might be a good fit. On the other hand, if you need a monitor that allows you to accurately judge focus and exposure, I would recommend budgeting for a higher-resolution monitor, such as SmallHD’s 500 series of 5-inch monitors. 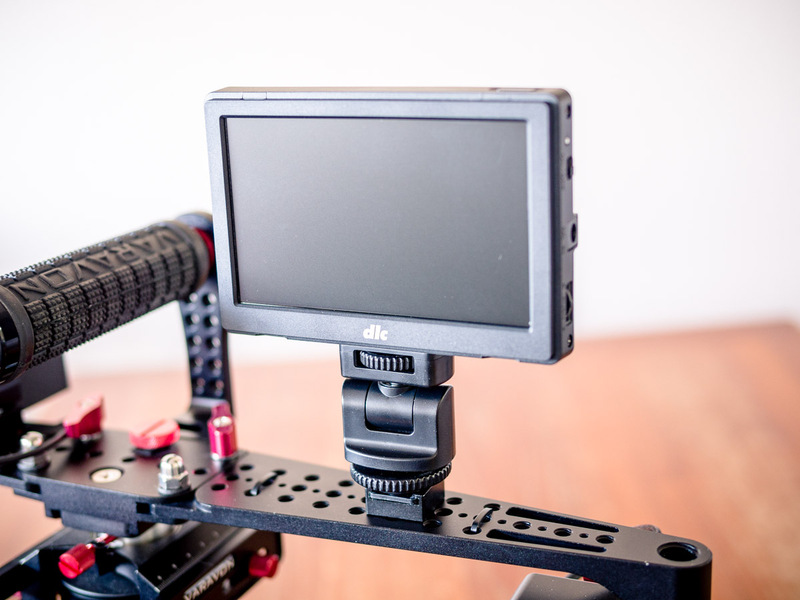 I’m currently evaluating other monitors for the GH4 (such as SmallHD’s 502 with the Sidefinder EVF attachment), so sign up for updates below to get notified when those reviews are posted. Viltrox DC-50 5″ LCD Monitor — $150+ cheaper than Dot Line’s monitor, but not verified to work with the GH4. 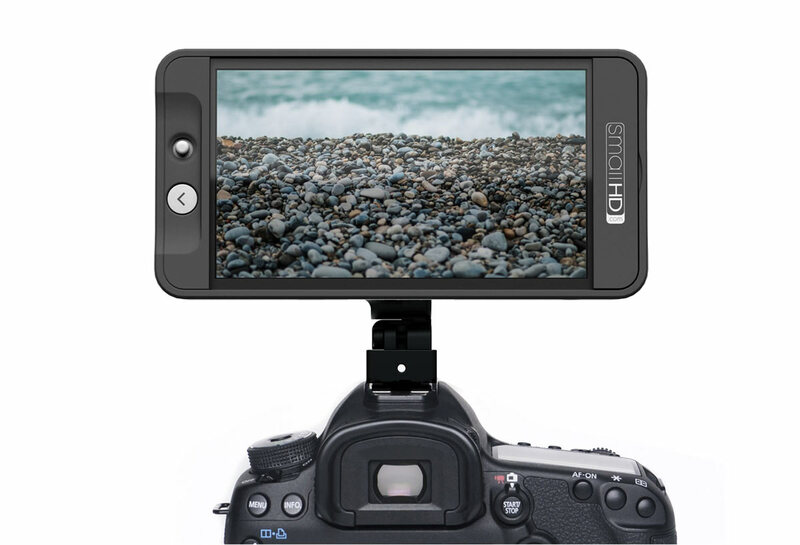 SmallHD 502 5″ Monitor — HD-resolution monitor offers a lot of functionality, but at a higher price. Panasonic GH4 — With a great EVF and a sharp OLED screen built-in, you can happily shoot without an external monitor in many situations.